Australian culture is built on many tales, most of them bogus: white ‘settlement,’ the down-to-earth ‘battler,’ the extracurricular superiority of sport over art; to name but a few. But in recent years it feels like the conversation has shifted, if not to outright militancy then at least to a stronger sense of awareness, as younger generations reject accepted notions and the national dialogue moves from limp apologies to intimations of action. 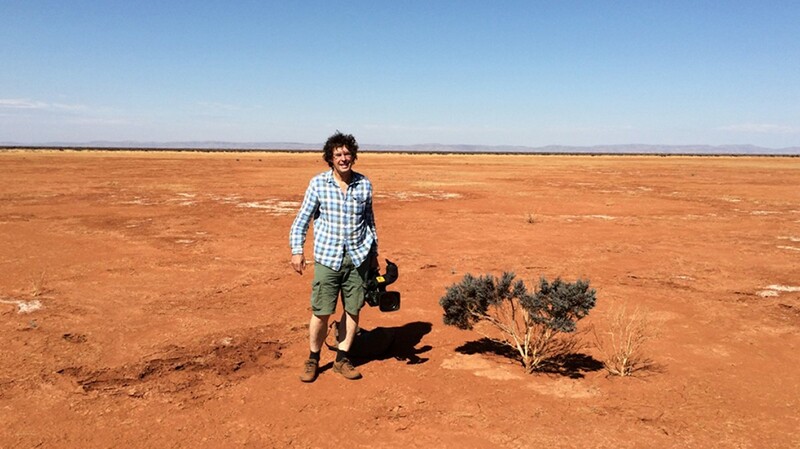 It’s evident in Warwick Thornton’s recent Sydney Film Festival opener, the culture-bombing We Don’t Need a Map (2017) and — in its own small, ecological way — Robert Nugent’s Night Parrot Stories (2016) joins the chorus for the resurrection of endangered mythologies. 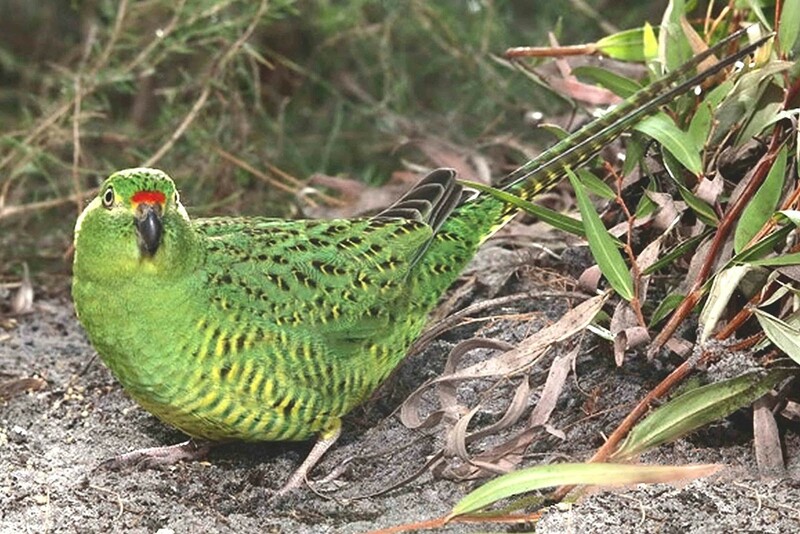 As anyone who followed the meme-ready appearance of the fabled bird earlier this year will know, the night parrot — one of the Earth’s rarest creatures — has since been located, and indeed, Nugent’s film ends with a coda that captures the alien-like footage of the creature skipping across infra-red shrubbery in 2013. 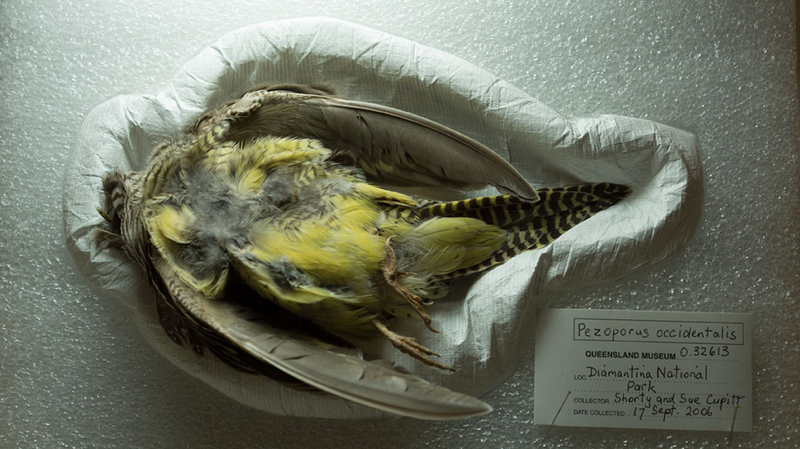 But as the documentary begins, with Nugent rummaging through the fossil archives of European museums, the night parrot’s whereabouts is still a mystery for the ages. Curators from institutions in Germany and England muse on the disappearance of rare species, while outback talking heads — Indigenous storytellers, white cattle ranchers, sunburnt nutters — speak of unconfirmed, fleeting sightings of the “noyt parrot” that may as well be glimpses of Elvis or the Virgin Mary. “It was just so ugly,” one woman cackles. She wasn’t wrong. Woven into this is Nugent’s own narration, which eschews documentary’s naturalist technique in favour of the whispered prose of the essay film. It achieves an almost disembodied tone, such as when Nugent wonders if he even exists in the present, but occasionally overplays its poetic-sincere hand: passages on the Voyager spacecraft and extraterrestrials communing with night parrots are too out-there for the filmmaker’s dry Australian vocal delivery. More successful are the stories told by Indigenous elders: fascinating cultural narratives of the ancient bird consigned to the darkness, watching over men and red kangaroos and reporting to geckos like some feathered sentinel of the Dreaming. 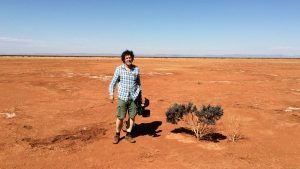 These stories give the film its lyricism, and align the narrative’s search for the night parrot with a deeper thematic need to preserve a language and culture on the edge of the abyss. Ground parrot, also a Pezoporus species but quite common in coastal heath around the eastern (Eastern ground parrot) and western (Western ground parrot) seaboards. Our first glimpse of the bird itself is anticlimactic, or at least troubling. An eerie x-ray of a headless female corpse, found hanging from a fence in 2006, is all that remains. Ironically — and before the video footage of 2013 — Nugent’s best opportunity to view the bird was in Europe, where two time-weathered parrots quietly reside in the filing cabinets of British and German museums. It’s disorienting to see this distinctly Australian creature passed down through history to European custodians, just as the stories of the bird — and by inference, the ancient culture of its landscape — have been perverted over time by translation and misinterpretation by generations of white writers. One parrot specimen, which Nugent films in tactile close-up, is a stark reminder of time’s indifference: it lies on a cold, industrial floor, distinctive green and yellow plumage barely registering against the debris of humanity’s progress. The shot also illustrates Nugent’s particular eye for formal detail, both macro and in widescreen — he sure knows where to point the camera, be it distant smokestacks, rusted sheds or deep-perspective corridors, making for an experience that’s both intimate and curiously cinematic. Perhaps Robert Nugent’s greatest shot is the one he inserts himself into: framed in silhouette against an empty exhibit case in a British museum, he quietly and pointedly suggests that one day, humans, too, may be at risk of suffering the same fate as the night parrot. Luke Goodsell is an award-winning freelance film critic and writer who has most recently contributed to The Monthly online, ABC’s Final Cut, SBS Movies, 4:3 Film and Senses of Cinema. He is a former editor at Empire and Rotten Tomatoes.